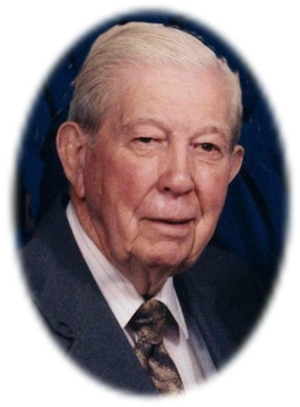 Obituary – Nicewander, Earl « Perry High School Alumni Association, Inc.
Earl Nicewander, 91, of Perry, Oklahoma, was the son of Arthur and Emma Kemnitz Nicewander. He was born on June 26, 1918 in Perry, Oklahoma and died Friday, August 28, 2009 at Green Valley Nursing Home. On January 6, 1939, Earl married Dixie Carter in Oklahoma. Earl worked many years at Galaway’s Grocery in Perry, then as a salesman for Maurer-Neuer Meat Packers in Arkansas City, Kansas. He worked briefly for the Springfield Estate. He was a member of the First Christian Church. Earl enjoyed spending time twice a day visiting with friends at the donut shop. Graveside services will be 2:00 p.m. Monday, August 31, 2009 at the Grace Hill Memorial Pavilion in Grace Hill Cemetery. Rev. Martin Foster will officiate. Services are under the direction of Brown-Dugger Funeral Home. Memorials may be made to the First Christian Church in care of Brown-Dugger Funeral Home, 1010 N. 7th Street, Perry, Oklahoma 73077. Earl is survived by his wife Dixie Nicewander; one son and two daughters and their spouses, Earlene Glass of Oklahoma City, Oklahoma, Joyce and Cecil Loveless of Perry, Oklahoma and Bill and Melissa Nicewander of Oklahoma City, Oklahoma; eleven grandchildren; seven great-grandchildren; one brother, Paul Nicewander of Tulsa, Oklahoma and many nieces and nephews. He was preceded in death by his parents, two brothers and one son-in-law.